The upcoming episode of Star Plus popular Tv Show Ishqbaaaz is gearing up for some interesting twist and drama. Shivaay Oberoi is much angry after Priyanka's accident and coma state and blames Anika for it. 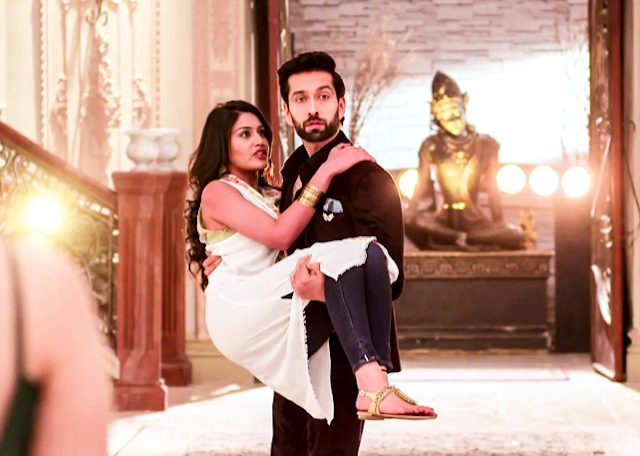 Shivaay (Nakuul Mehta) is more furious knowing that Anika (Surbhi Chandna) is getting married after ruining his sisters life and decides to not let this happen. Shivaay (Nakuul Mehta) is ready to come in his SSO avatar and captivates Anika from her wedding and brings her to temple. Shivaay Oberoi thus forces Anika to get married and takes wedding vows in which he takes oath to ruin Anika's life and take revenge of his sisters pain and suffering. Shivaay and Anika thus gets married and Anika is shocked seeing Shivaay's such avatar.